CAN I RETURN THE WHEELS I PURCHASED? Please Note: For all returns, merchandise must be in perfect new condition and free of damage. We will need all original packaging and a RMA number. Do not send Returns without RMA number or it will get lost. #1 – THIS IS NOT WHAT I ORDERED or WHEELS DOES NOT FIT. WHAT CAN I DO? We offer 100% fitment guarantee. If we sent you the wrong fitment, wrong size, color or the wrong wheel, we&apos; will send the right wheels at no extra cost. #2 – I DON’T LIKE THE WHEELS I PURCHASED, CAN I RETURN THEM? YES, but you will be assessed a 25% re-stocking fee plus the shipping charges. #3 – UPS / FEDEX HAS DELIVERED A DAMAGED WHEEL, WHAT SHOULD I DO? We strongly recommend that you to check all your merchandise at the time of delivery but, if you are not able to do so, we understand. Please have someone at your household do it for you. It is important, it&apos;s your investiment, and regardless of the dollar amount it has a tremendous value to you and for us. If you find any damage, please call us immediatley. We only have 7 days to initiate a claim with the freight carrier. When signing for the merchandise delivery, ask the deliveryman where to notify about "damage" package (All carriers have that option available). Please keep the boxes safe including the shipping labels and we will take care of the rest. 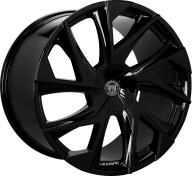 Meantime we will ship and new wheel to you at no extra cost. WILL THIS WHEEL FIT MY VEHICLE? We are proud to say that "If it does not fit, we don&apos;t ship". That is our policy. Just make sure you enter the vehicle&apos;s year, make and model before you start your purchase. HERE AT THE RiDE ON RIMS YOU CAN BUY WITH CONFIDENCE. Every wheel sold under this website has a one (1) year warranty from its manufacturer. If you have any issues with the wheels you have purchased from us, we will be glad to hear from you. We’ll submit a request for warranty with the manufacturer of your wheels on your behalf. Keep in mind that is solely up the manufacturer to decide about their warranty and/ or if warranty will be available for you. The Rims Zone have no influence on the decisions made by manufacturers. You should find the manufacturer warranty inside of every wheel box. You’ll also find it online at the manufacturer/wheel brand’s website. Manufacturers one (1) year warranty covers for the basics manufacturing issues such as out-of-round problems, wheel defects or structural damages. Issues with the finish such as painting, clear coat or chrome peel is only warranted if customer notify us at the time of delivery or within 7 days of the delivery date. There’s no warranty on driven wheels or tire mounted wheels. Cosmetic issues such as scratches, scuffs or cracks caused when driving or parking or any impact damages (pot holes) are not covered by the one year standard manufacturer’s warranty. IF YOU HAVE QUESTIONS, CALL US 888.220.0484! The finest in the aftermarket wheel industry. Lexani Luxury Alloy Wheels. 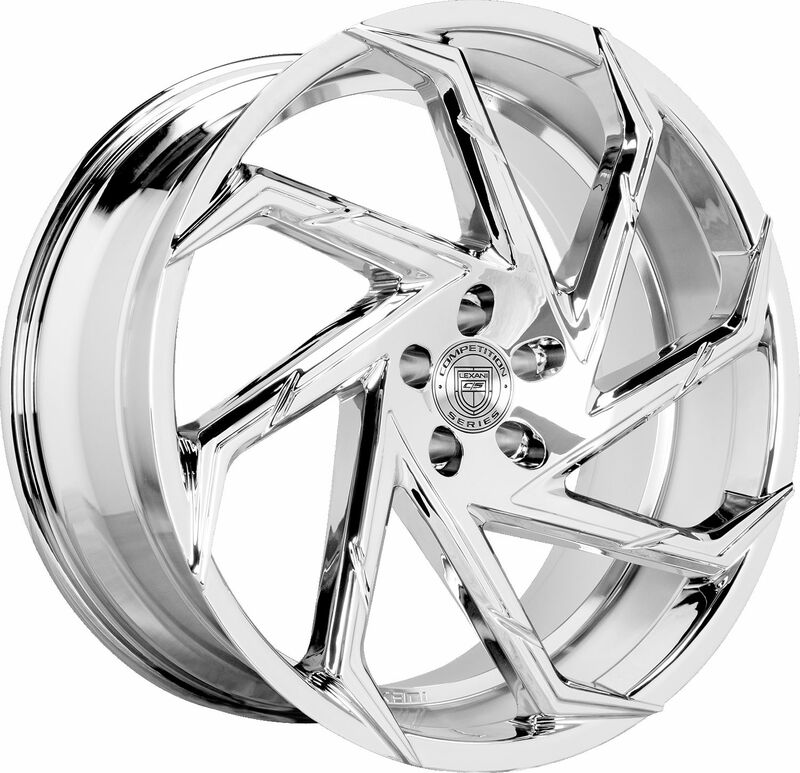 You have selected a nice chrome finish wheel for your vehicle. Chrome wheels are the best option for those in love with that bright flash that only chrome finish can give you. 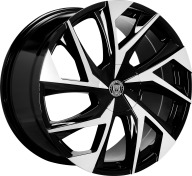 Whether you love chrome finish wheels or are just trying to make your wheels match up the chrome trims of your car, you will not be sorry when adding a nice spunky chrome finish wheel to your car. Easy to clean, just water and soap is enough to do the job. Copyright 2012 - 2017 © RideOnRims.Com. All rights reserved.